This project included planning, design, construction, and renovation of a trail head and more than 30 miles of new and existing trails within the Tortolita Mountains and the Town of Marana’s Tortolita Preserve. The Tortolita Trail System provides regional benefits by offering recreational opportunities for hikers, equestrians, and mountain bicyclists by providing access to the 3,245 acre Tortolita Mountain Park and 2,400 acre Tortolita Preserve. 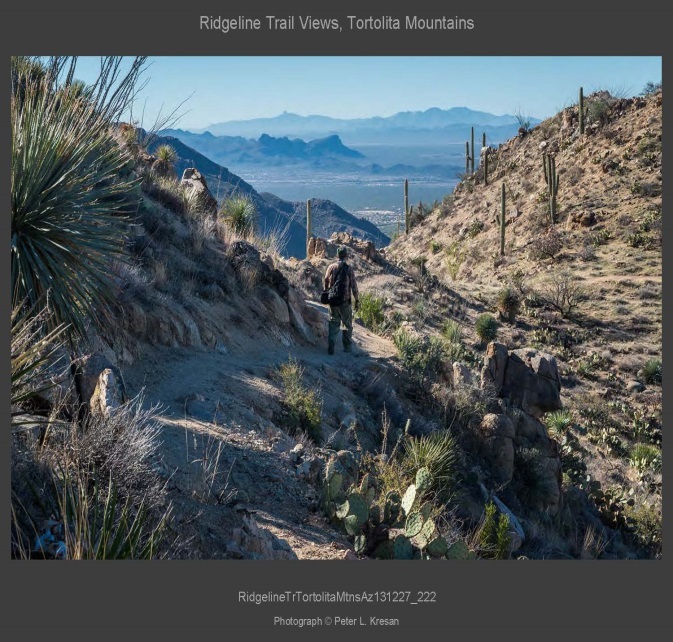 The project was completed with a trail crew building the “Ridgeline Trail” above Canyon Pass ending at the Wild Burro Tank in Tortolita Mountain Park.